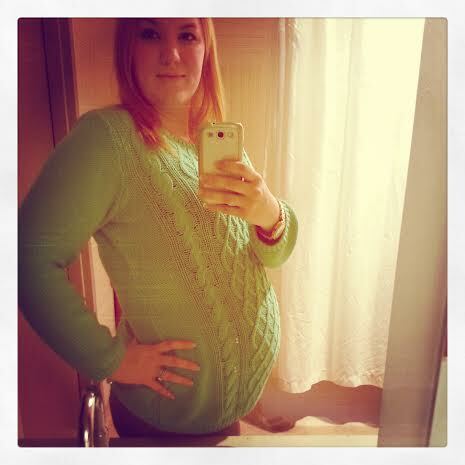 I’m now 26 weeks pregnant, or 6 1/2 months along. The babies are each about the size of an eggplant! In fact, I had an ultrasound this morning and each baby was one pound, 13 ounces each, so just shy of 2 pounds. We should break the two pound mark hopefully by the end of next week. 26 weeks also means that we only have six weeks left before I deliver. Crazy how fast it’s gone, even though it’s been a shortened pregnancy filled with doctor’s visits and hospital stays. During the ultrasound, our girls were head to head, face to face, lying diagonally across my body. I’m so curious if they’re aware of each other, I keep asking but no one really knows. I mean newborns don’t even know their hands are attached to their bodies for the longest time, but it’s still sweet to see them smooshed together and acting like they love each other for now. This entry was posted in Belly!. Bookmark the permalink.